We believe that members of society in general and attorneys specifically, have obligations to social responsibility to our communities. We encourage and support our attorneys and staff to participate in community service. This service includes pro bono representation and other volunteering. As part of this responsibility we provide billable time credit to our attorneys pro bono service and require each attorney to serve 25 hours of pro bono time per year. Our commitment to pro bono service and our communities is approached with the same enthusiasm, commitment and firm resources that we apply to our commercial clients. 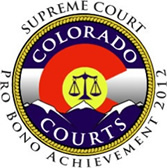 In addition to pro bono commitments we expect our attorneys to participate in other forms of community service and professional organizations. Our Green Initiative is to reduce the impact of our business operations on the environment by engaging in sustainable and environmentally responsible business practices. Among the other practices that we have implemented are efforts to reduce waste, recycle and utilize “green” vendors. Through our Green Initiative we exhibit our commitment to our communities and take responsibility for the impact of our business practice on the community. Perhaps not coincidently, our Green Initiative also turns out to be good for business by leading to cost savings in terms of reduced energy consumption, going paperless and recycling electronic. Specific components of our Green Initiative include purchasing recycled or biodegradable products where possible, reduced energy usage and waste reduction.